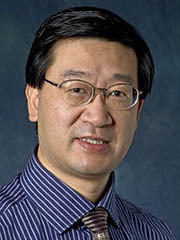 Professor Dayong Gao graduated (with the B.Sc. degree) from University of Science and Technology of China in 1983, and obtained Ph.D. in Mechanical Engineering and Biomedical Engineering in 1992 from Concordia University, Montreal, Canada. His research has been focused on the problems in thermal/fluid science and biomedical engineering with funding supports from NIH, NSF, Whitaker Foundation, American Cancer Society, American Heart Association, DoD, and various Industries or research institutions. He has published over 120 original full manuscripts and obtained 12 US patents.